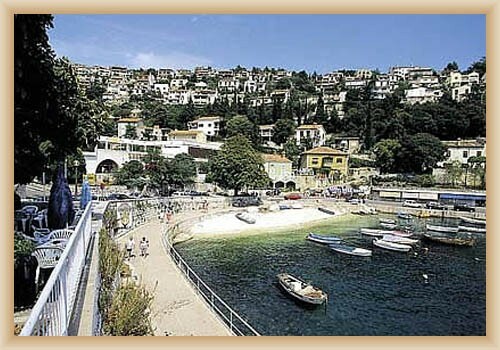 Rabac is the tourist centre and harbour on the east coast of Istria. It is located in the bay with the sand’s beaches and wide vegetation. Chief occupations include farming and tourism. The first tourist residencies have been built already in year 1890. The modern hotel’s city with capacity 10 000 was getting of fishing town. Rabac offer also sport’s activities (biking, tennis, water sports, sport’s centre as Olivia and Prohaska), gastronomy and recreation’s services.